A stent is a supportive device inserted into the body. A stent implantation may be performed by a cardiologist. 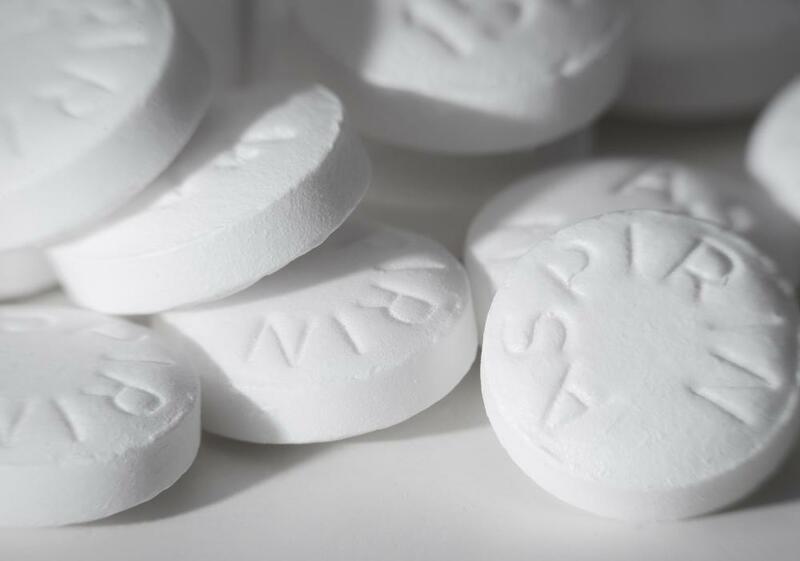 Following a stint placement, patients are typically given aspirin therapy indefinitely. During an angioplasty, a stent may inserted into an artery, and it is typically inflated with a balloon catheter. Stents are most common in coronary arteries that have been blocked by plaque. A stent can be defined as any medical device that supports tissue, but most commonly, the term refers to a specific medical device that is placed into an artery. An arterial stent is a mesh-like tube, often made of metal, that can expand once it is inserted into an artery. Its most frequent placement is in coronary arteries, which are typically blocked by plaque built up inside. 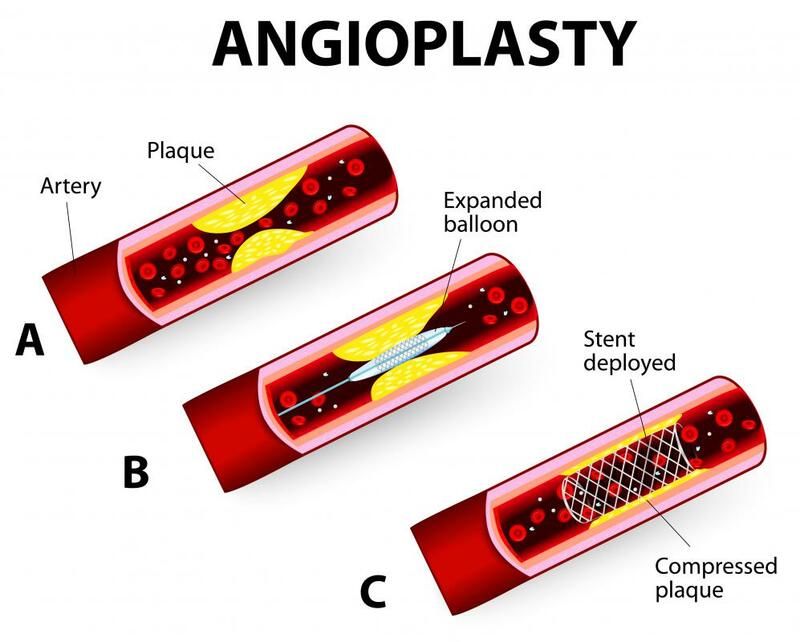 During an angioplasty, a stent may inserted into an artery, and it is typically inflated with a balloon catheter. The procedure begins at either the femoral artery in the groin, or the axillary artery in the armpit, and the stent is guided to the proper artery. The stent acts as a kind of scaffolding for the artery during any surgical repair or procedure. Usually, it is left in the artery permanently. The stent supports the narrowed or blocked artery, keeping it open for blood to flow more freely. The risks associated with stent placement are minimal compared to the risk of untreated blocked arteries and include clotting, further damage to an artery during the procedure, and an allergic reaction to the material. All patients are placed on an anti-coagulant, or blood thinner, following the procedure and then, typically, aspirin therapy is required indefinitely. 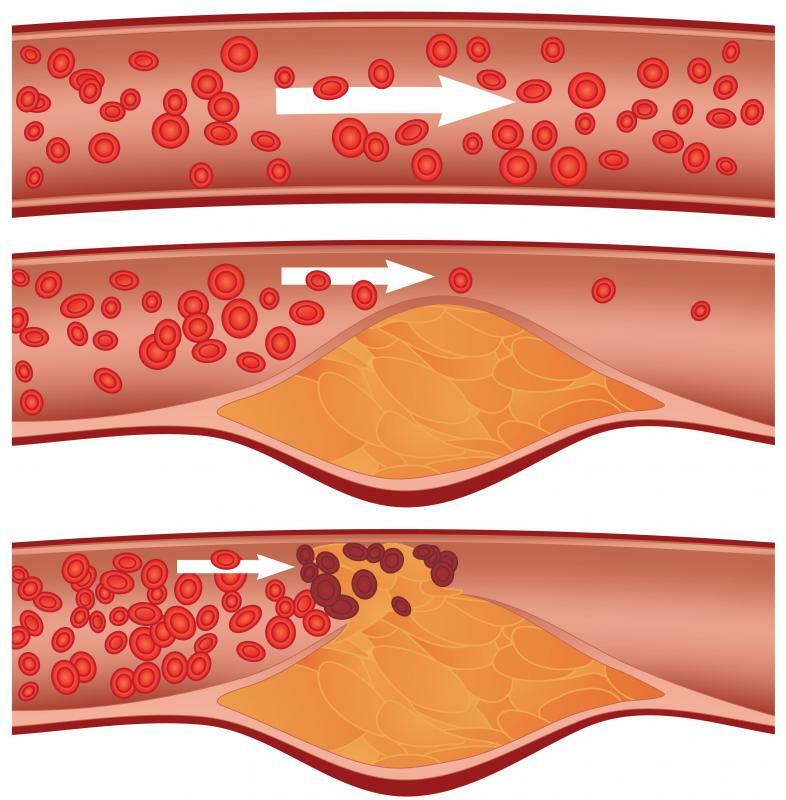 There is the possibility that an artery with a stent in place can collapse or become blocked again. This is referred to as restenosis. There are some stents, called drug eluting ones, that are coated with medication that releases into the artery and helps prevent it from becoming closed again. There are no known problems associated with the long-term presence of stents other than the possibility of restenosis. 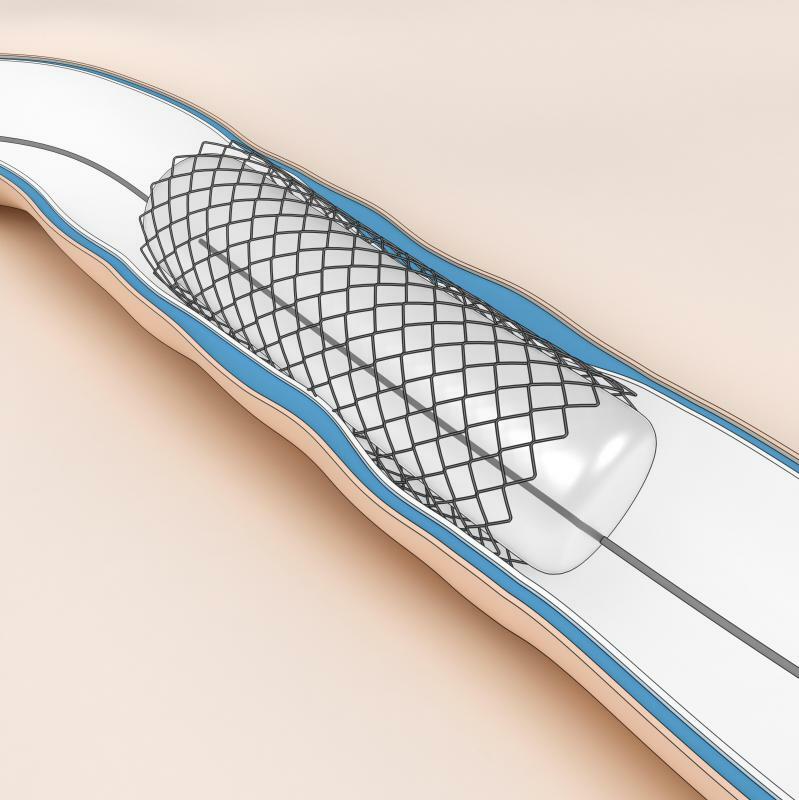 Patients who have had stents implanted will be monitored closely by their cardiologist, or other specialist, for a few weeks following the procedure and then at routine intervals for checkups. Magnetic resonance imaging (MRI) scans are not recommended for at least four weeks following a procedure, unless under direct supervision of a cardiologist. What Are the Different Types of Stent Material? 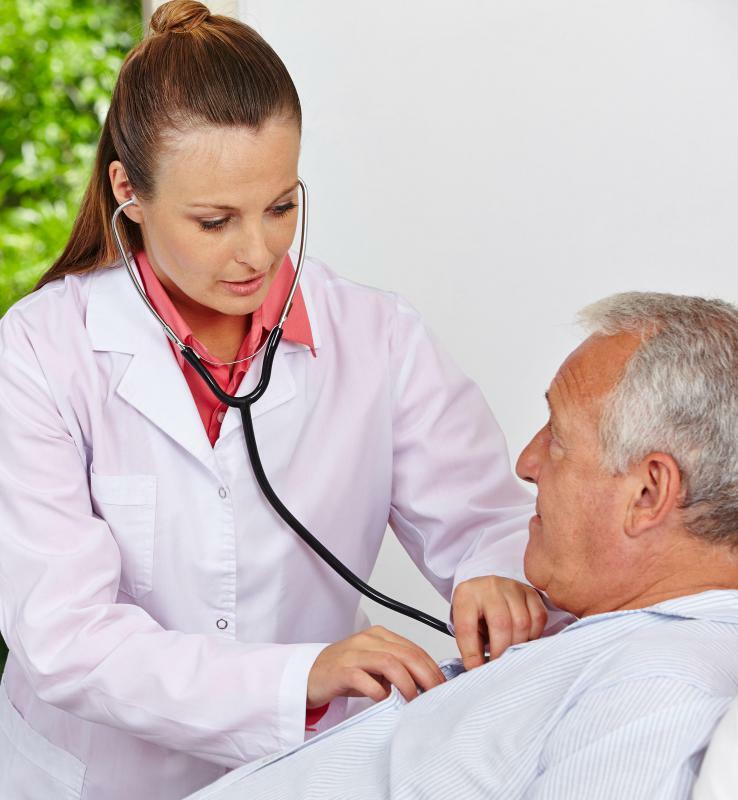 How Common Are Stent Complications? What is a Palmaz Stent? What is a Double J Stent? What is a Nitinol Stent? Is It Safe to Have an MRI with a Stent? @Melonlity -- what is even more incredible is how often people have to have stints put in to avoid a catastrophe. There are more than a few experts who agree that is largely diet related -- we don't eat as we should and that causes the plaque buildup that makes a stent necessary in the first place. How can one solve that problem? Experts have been working on educating us about unhealthy diets for years, but the effectiveness of those efforts is up for debate. It is important to point out that having a stent put in is very commonplace these days. There are a lot of people who have had these life saving devices put in to ward off heart trouble and they are very effective. That's worth mentioning as there are people who tend to panic upon learning they must be opened up and have a stent installed. That's traumatic, to be sure, but it's also a very safe procedure that has saved millions of lives.